Be sure to check our Facebook Page to keep up on the latest information! 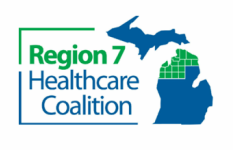 The Region 7 Healthcare Coalition (R7HCC) oversees and coordinates regional planning efforts among a 17-county region in collaboration with the Regional Medical Director, the Regional Planning Board and other committees and work groups. 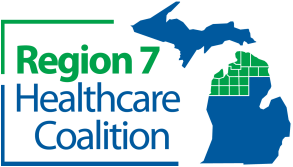 R7HCC Staff works closely with pre-hospital and hospital providers, expanded continuum of healthcare agencies, local and state public health entities, local and state emergency management and other key response agencies.